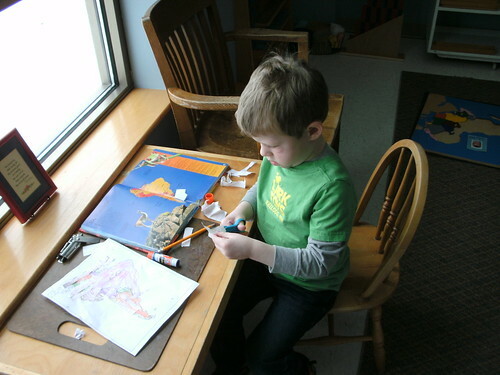 One of the things that Benjamin really enjoys at school is working with maps. Over the course of his first year at school he has learned all of the continents and many of the countries of the world. Right now in order to improve his handwriting, he has been labeling maps. Here he is working on a map of South America. Benjamin's teacher provides us with photos of him hard at work throughout the year and it is great to see him doing the things he talks about at home.